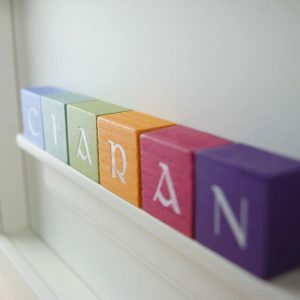 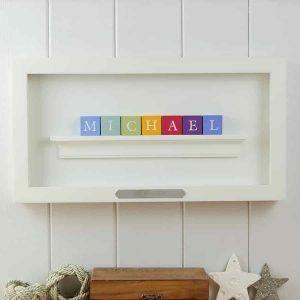 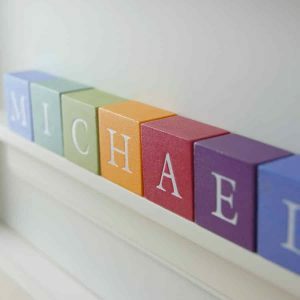 A unique baby gift, Baptism gift for boys, or Christening gift for a special boy made from our hand pressed alphabet blocks. Also available in Pastel colours for girls and Rainbow colours for boys and girls. 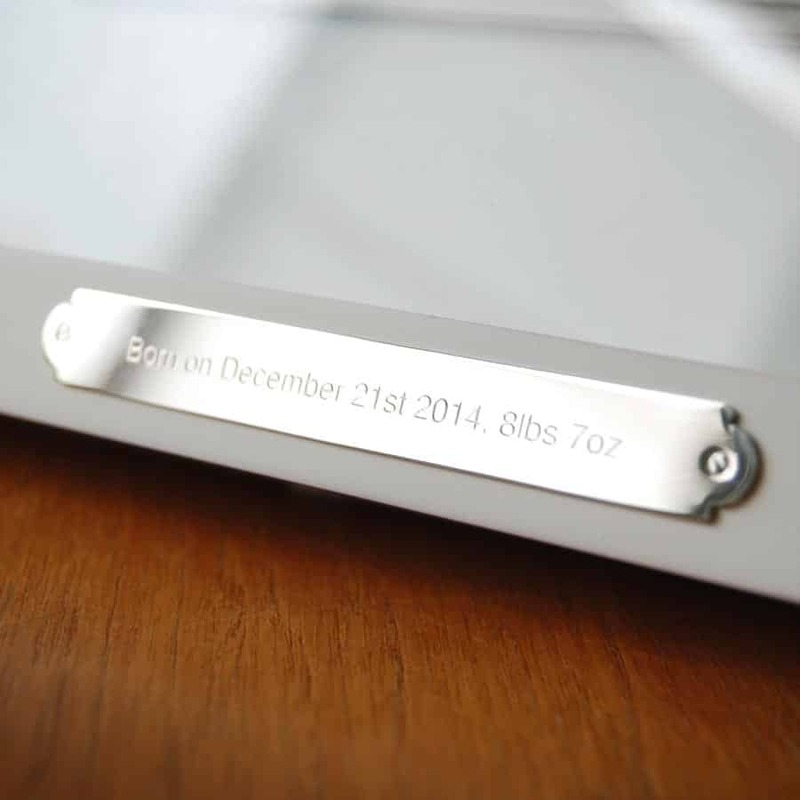 Additional details like time, date or personal message can also be added which is engraved on the silver plate which can be added to the front of the frame. You can even choose Classic or Irish lettering (please see the menu below). 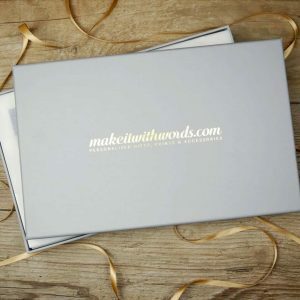 For fadas or other accents please type in with the name or specify in the Notes box on the checkout page.